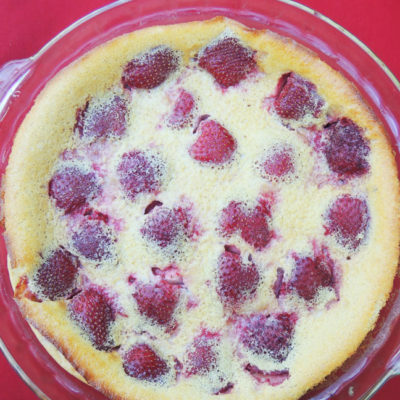 Inspired by Julia Child, this recipe uses strawberries instead of cherries. The quintessential elegant French dessert. A delicious twist on potato pancakes. 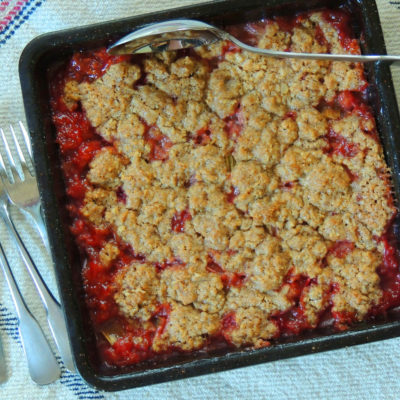 Strawberries and rhubarb marry perfectly in this classic, early summer dessert. The crisp topping can be used for any fruit filling, such as peaches, cherries, plums, etc. 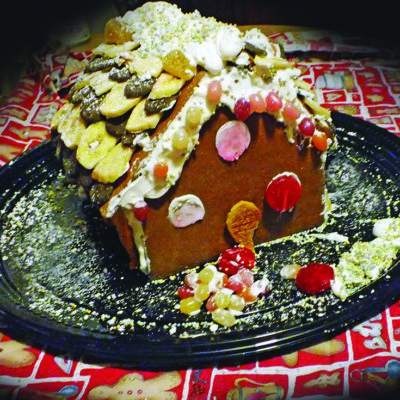 Make a decorated gingerbread house with your kids! Strawberry season is here! After asparagus, we are so happy to bite into our first juicy, delicious local berries. They are so good, we could eat them every day!